Hwy 55 Exit 178 Herculaneum right on McNutt Street right onto Providence Way, left on Durham, right on Providence Park Lane, right on Farnman Drive, Home on the right. Hello, I’m interested in 1333 Farnman and would like to take a look around. The details on 1333 Farnman: This house located in Herculaneum, MO 63048 is currently for sale for $224,000. 1333 Farnman is a 1,496 square foot house with 3 beds and 2 baths that has been on Estately for 2 days. 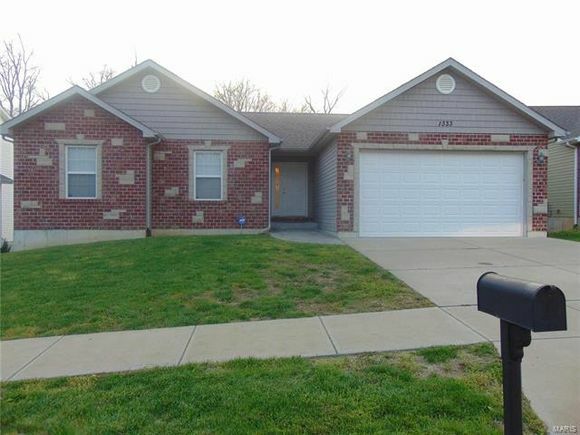 This house is in the attendance area of Festus High School, Festus Elementary School, Festus Intermediate School, and Festus Middle School. Listing Courtesy of: MARIS and Coldwell Banker Gundaker-Festus/Hillsboro.